Welcome back to Jaime’s Lazy Late Night Cooking Corner, the show where I whip up last-minute single serve microwave treats every Thursday while wearing my robe. 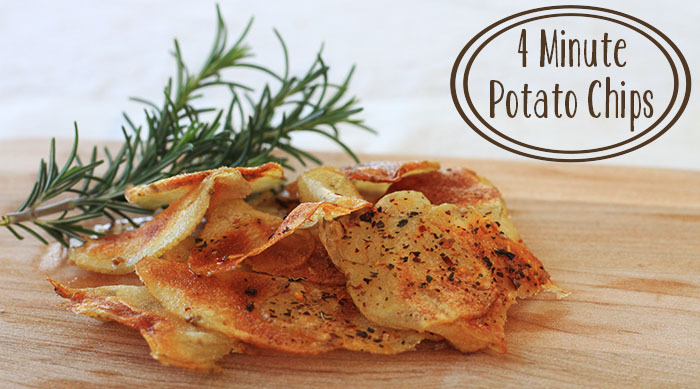 This week we are eschewing our sweet tooth and going full-on PMS salt-craving (which is truly where my heart lies) with a recipe for four-minute microwave potato chips. Who knew it was this easy? I did, and now I’m sharing that sacred knowledge with you. Use it wisely, women. In previous episodes we’ve made 4 Minute Microwave Carrot Cake, Bye Bye Bunny Microwave Peep S’mores, Single Serve Microwave Rice Krispy Treats, Microwave Blueberry Cobbler in a Cup, Microwave Strawberry Shortcake for Two, a Microwave Lemon Bar, Two-Minute Microwave Cheesecake in a Cup, 3-minute Microwave Guinness Chocolate Cake, and even a Microwave Cinnamon Roll. 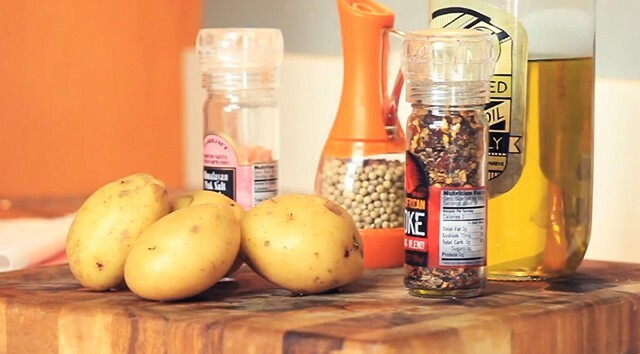 Now it’s time to get savory in a hurry with a potato. Let chips sit until they are crispy. Who knew! These look awesome! Definitely going to give them a try this weekend! Oh the flavour possibilities are endless!! everyone have to try it……. Do you think sweet potatoes would work the same way? I’ve tried it out, and yes it does. What worked for me was to sprinkle some bread crumbs over it to help with the crispiness. Without it mine were just soft and mushy (which isn’t so bad).